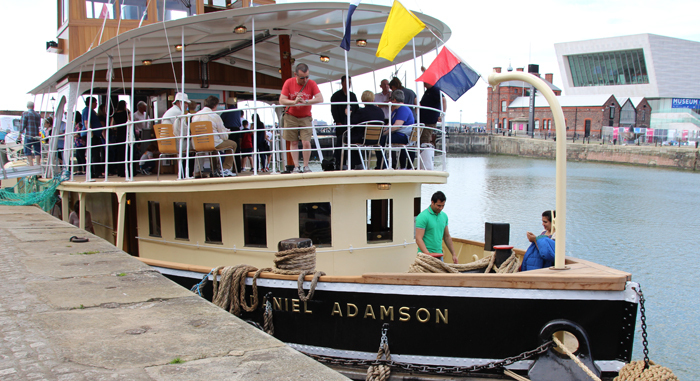 The Daniel Adamson (also affectionately known as "The Danny" ) boasts a remarkable history. Built during the steam age at Cammell Laird shipyard in Birkenhead in 1903, and then known as the Ralph Brocklebank, she was one of many vessels built to work on the River Mersey and inland waterways. She is unique in being the last surviving steam-powered tug to be built on the Mersey and believed to be the oldest, operational Mersey-built ship anywhere in the world. In February 2004, despite her century-old maritime history, she was earmarked for scrapping, however, word of this soon got round the tightly knit maritime community grapevine, and within days the momentous decision to try and save her was taken. 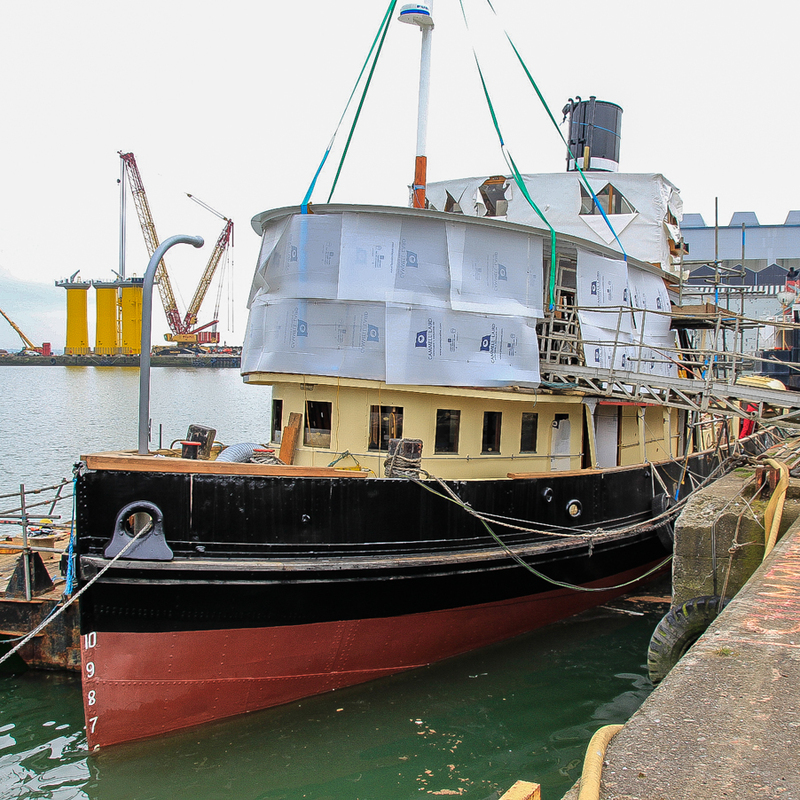 In February 2015 with a £3.8m National Lottery Heritage Fund awarded to restore the Daniel Adamson to full working order and with a host of dedicated volunteers, her restoration began. Commisioned by Sea King Electrical, CAI were extremely proud to participate in the renovation of this British heritage vessel. Time was key to this project, and testament to our dedicated and skilled engineers, a set of gauges were designed, developed, manufactured and fitted within a 6 week period. The gauges measure the revolutions-per-minute of the two fixed-pitch shafts driving the propellers, with one white needle registering forward movement and a second red needle registering backward motion. Measurement occurs via an indexed toothed wheel fixed on the each shaft. With the challenging marine environment, each gauge is designed to be resilient in the marine environment and to withstand the vigours of life at sea. They are also LED back lit for display clarity. 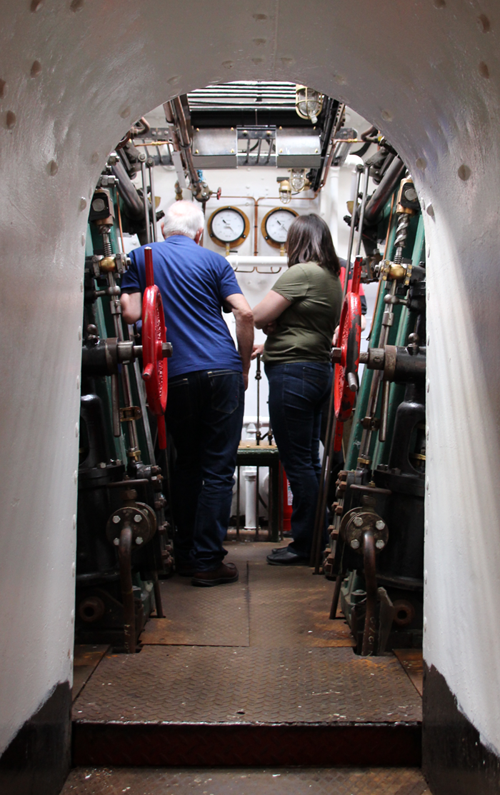 Working closely with the customer both during initial development and fitting, the team at CAI were more than happy to visit the Danny during her final stages of restoration to provide technical gauge support where necessary. The gauges have now been installed, and the Danny, which was featured in an episode of the BBC's The One Show on May 5th 2017 was launched for public viewing in Liverpool's Albert dock on May 7th 2017. The Danny is now open for viewing and tours and is available for private hire and corporate events. Read our blog on Special Marine Project for CAI for more on this project.